The mysteries of music are illuminated by radiance. As depth increases, sounds obscure in either recognition or intention. districtアトランティス has reached fathoms beyond current sound explorations. Ambient density, shrouded in times harmonic delights. Patterns of pop music flickering in the distance, absolute certainty of sonic focal directions left for music scholars to debate. memorygarden禅 reaches into the profound parts of the consciousness. Places where tones teeter between blissful euphoria and waiting room resonance. districtアトランティス is sustained for well over thirty minutes. Within this duration, thoughts are submerged, held in the buoyancy of cultural sequences. There are certain tracks and moments when the music seems to swirl in a maelstrom of current, loosing intricate patterns, becoming almost unrecognizable. This is the perplexing enigma, creating warmth from start to finish. Released on Constellation Tatsu in early February of this year. The label has been in a methodical steady production since 2012 and districtアトランティス is numbered as eighty eight in the release catalog. Sure to sell out, once our music understanding gets to the same point. Snowflakes fall and the land slowly changes color of it's barrenness. What was once hues of varying shades of brown, now is covered in white. There is a beautiful uniformity to this new frozen blanket. Snow is a condition water molecules assume, and most humans are not readily equipped to fair for long times in total water environments. Listening to Tiny Houses holds these aspects for me. The music is gorgeously uniform from start to finish. Like the snow changing dreary earth tones to vibrant white, Hour takes placid moments and creates a woven harmonic quilt. But somehow i still feel like only a visitor in this aural land. I think the setting is too intimate, the musicians connecting in some plane of existence only few can really go. Maybe the depth of consciousnesses combing together to create Tiny Houses has room for no more. This is the paradox because while listening to these tracks, you can not help but want to be part of this super chilled process. From the opening track, patience takes hold, providing an earth time natural pace. The interplay between instruments is orchestrated in the most technically casual manner possible. The songs meander on their own course, tones twisted slightly, creating angles from organic roots. The recording device used makes a slight ruckus in the corner, some buzzing static or clunk, trying to join in. Tiny Houses is filled with the perfect amount of ever so slightly off kilter euphony, like a symphony from a wooden music box. Just released on the label Sleeper Records from Philadelphia. Copies are available from the labels bandcamp page. Hour is a really nice group of musicians, and this composition is perfect for many future listens. 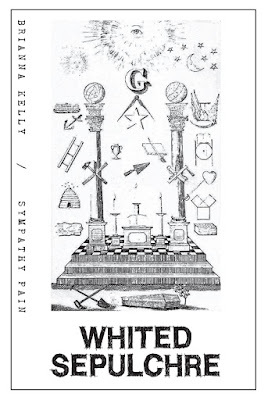 A Whited Sepulchre Records pre-release split cassette. 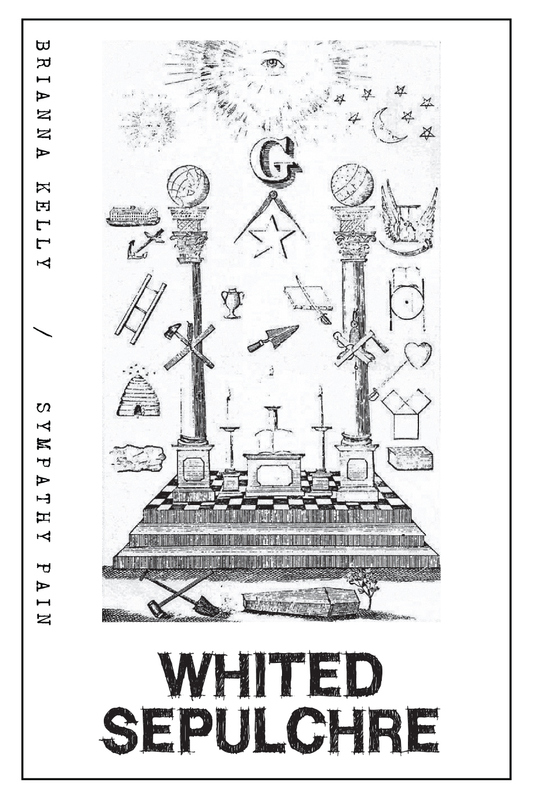 Brianna Kelly & Sympathy Pain will be the third in the split cassette series from the label. The first tape by braeyden jae​ and ​ant'lrd has only a few copies remaining. 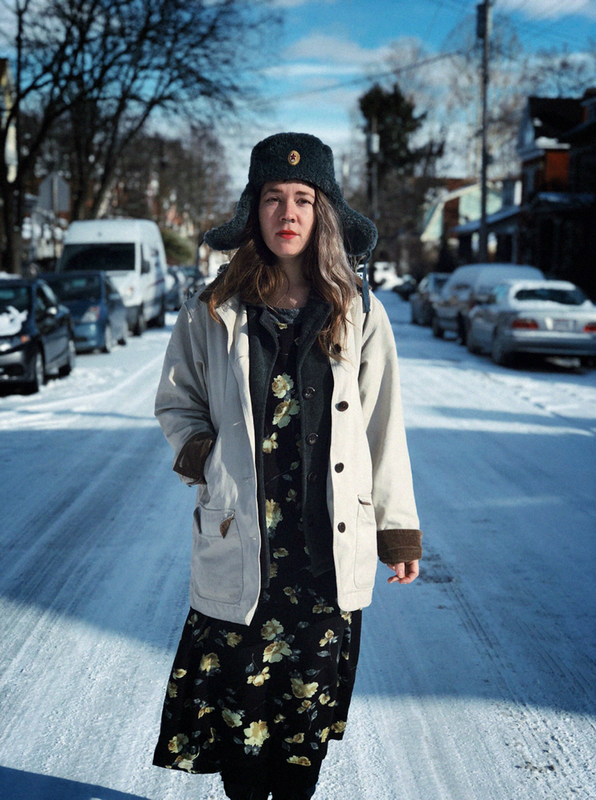 The second cassette by Sister Grotto & Tucker Theodore and Planning for Burial, is completely sold out. So get ready for the February 27th release date and pre-order a tape. Lost in a Sea of Sound will tackle this description when the physical copy arrives. 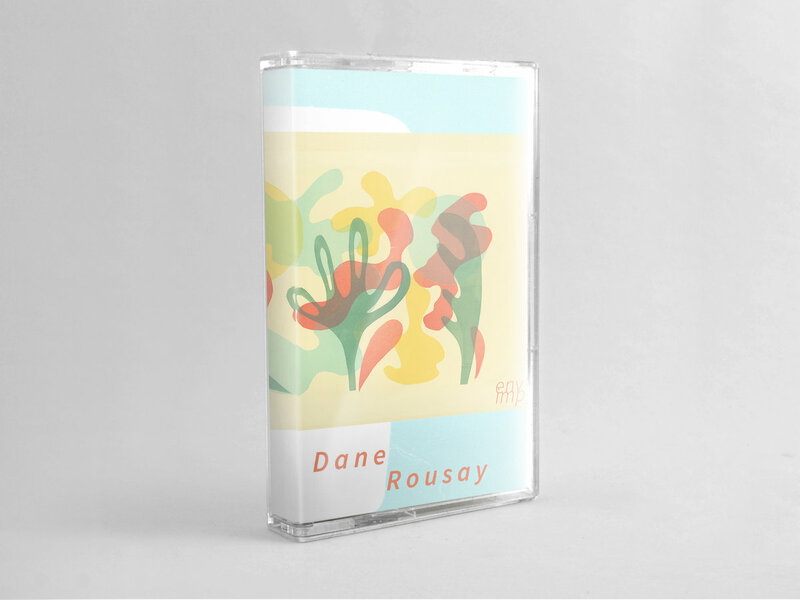 On the Colour8 from London, Dane Rousay with the EP titled IMP / ENV. If you have been following Dane, this upcoming release is most likely on the radar. One thing to note, this is a super limited run of twenty cassettes and six 10" lathe cuts. There are only two lathe cuts remaining, and still five days remain before the cassette/digital release date. The lathe cut scheduled for later in March. Lost in a Sea of Sound will give this release proper attention when it arrives. Just wanted to convey how limited this will be and help give everyone a opportunity to order a copy. Sounds describing the beautiful richness of life. An amazing relationship between people and the land they live in is documented in these diverse field recordings. Received from the edge of one of the harshest environments on the planet, delicate tones bringing subtle essence. Songs and melodies surviving generations, old and new sounds mixed in a tangled weave, all stretching across a circular horizon of time. Field Recordings from the Sahel is a compilation of recordings made by Christopher Kirkley between 2009 and 2012. The first quarter of the cassette are sounds from select locations in Mauritania. The remaining three quarters of the tape are from areas around Mali. Massive in both length and scope. Prayer calls, children playing, radios, animals, singing, drumming and even tapes being played, this collection of field recordings varies immensely but magically stays warm and intimate. The curated selections by Christopher are seamlessly assembled providing a fluid immersion. Balance between harmonic sounds and life blurring in the aural magnitude. Released on the Sahel Sounds, a label based in Portland, Oregon. In the ten year existence of the label, there are a plethora of excellent release in as many styles. Don't wait on anything you like, these sounds sell out quickly when you are not listening. Negative Highlight Reel was released by Graham Repulski at the same time as Permission to Love. Maybe i should have combined these two release into just one post, but they have very different character. These six tracks arrive more subdued than the sounds from the cassette companion release. The title track "Negative Highlight Reel" is the only true song with lyrics and pop harmony. The remaining tracks seem to slip into the bubbling sonic caldron. Experimental sounds being stirred, like a stew of sonic bits and pieces. Everything being heard like a slow rolling boil. Released in January by Graham with the similarly package Permission to Love. Copies are available from the bandcamp page. Graham Repulski with a cassette titled Permission To Love. Seven tracks spinning quickly at just over ten minutes. Sounds turned inside out, beautiful music surfing the edge of distorted noise. Graham expresses his connection to the world around him. A songwriter firing harmonic shrapnel at all who listen. Mutating sounds progression through genres like some process of alphabetization, pop, punk, psychedelic rock. Lyrics both crystallized and dismantled, this short cassette does not stop from start to finish. Released in January of this year, copies are available from Graham's bandcamp page. Every cassette with a unique cover. Like fish pulled from the water to be inspected, thrown back or saved for eating, Alien Trilogy has yanked listeners from the ambient wash. Consciousnesses pumped full of mutated punk rhythms. These musicians talk and laugh, swilling cold drinks, while the fate of each Snake Trader listener is held in their sonic sights. As these tunes unfold, those who keep listening, struggle uncomfortably and then eventual settle into a numb and motionless state. Snake Trader cruises the lanes sideswiping the world around it. Windows down, Alien Trilogy can be seen inside, heads nodding with menacing grins devouring any in their path. Ten tracks, at blazing fast and disruptive speeds, finished within just over a third of an hour. Deep resonating base, resuscitated by pounding drums and electric angular guitar. The lyrics and vocals cross all streets arriving in every fashion. The track "Wickeder City" is a great twisted turn. A short sci-fi horror story on futuristic business dealings described with perfect detail. This track is also a good marker on how much there really is to hear on Snake Trader. Repeated listens will be needed and beneficial to understand how tightly complex this composition is. Releases on Already Dead Tapes and Records in January of this year. In an edition of one hundred, copies are currently available from the label. Cyclopean sound waves swarmed by bantam notes. This is not a sonic battle in the cosmos but rather a pre-primordial interaction between majestic forces. The formation of solar systems or a huge stone thrown in a flowing river, disturbances are massive and the affects ripple with diminishing qualities over the flow of time. But for now, when molecules are in upheaval, there is a chance to listen. Aural heaviness suspended in a harmonic plane, slowly spinning while emitting undiscovered beauty. 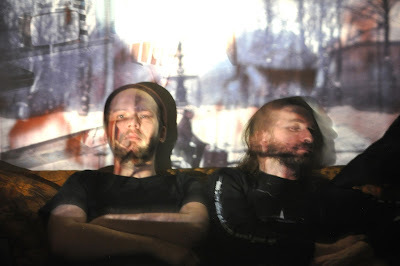 Christophe Bailleau and Daryl Groetsch as Pulse Emitter are the duo creating these noble sounds. Just under forty minutes in a system of eight orbiting tracks. Sonic pulses elongated across time, leaving sparkling residue as they pass through the conscious focal point. Like surface eruptions on the sun, from earthly distance they are irregularities of beauty. Gaz Giant feels like this, listeners at comfortable distances from the ebullition of combined imaginations. Christophe and Daryl propelling each other across infinite voids, complex sonic mechanisms overwhelming any in close proximity. If you train your ears to hear into the depths, a faint hint of mechanical rhythms can be detected. Maybe this is the hidden connection endearing these other worldly sounds to our thoughts. Released on Sacred Phrases at the beginning of the year. The label started with one hundred copies. Not sure how many remain at this point, but Sacred Phrases does sell out releases on a regular basis. Beautiful artwork and cassette presentation, this will not be around in physical form for very long. Described by the label Peoples Of Planet Earth Records as "An Intergalactic Rock 'N Roll Record". Nima Ashe's new release titled Give Me Fire For Your Love is shrouded in a little bit of playful mystery. Nima has a video on the Peoples Of Planet Earth website, but it is not ready yet. There are no song samples anywhere to be found. Nothing on the internet for Nima Ashe and very little press for this new release. I did see one track on a playlist for WFMU on January 20th. Beyond this, not sure if Nima has landed yet. Materializing through a numbered metal box, Lost In A Sea Of Sound has a beautiful compact disc on hand. The entire release has been listened to multiple times. One of the greatest elements in Give Me Fire For Your Love is Nima's descriptive prowess. Songs unfold with tones reaching from the past to future, rock and folk embraced, melting in an atmospheric descent. The lyrics keying in on feelings, emotions, thoughts and observations. Combining rural rhythms with clear and precise thoughts, evokes an introspective look into existence and it's complexity. A striking feature of Give Me Fire For Your Love is its controlled output. Nima's composition is not fancy or filled with sonic tricks. Rather straightforward and simple, using well written music with thoughtful lyrics. The rustic voice giving grit to music that sometimes pops from the roots. With ten tracks spread across roughly thirty eight minutes, the songs go fast. Naturally flowing very smoothly, with excellent diversity throughout. The entire listen easily maintains a whole record feel. Give Me Fire For Your Love is scheduled for release on March 3rd. The option to purchase should be there soon as well as a video. There is an album Give Me Fire For Your Love reminds me of, the music is completely different and does not even compare, but the rich harmonic details and pictorial vocal delivery are similar. The first Loyd Cole album Rattlesnakes from 1984. At the current point of time, becoming familiar with the label Very Special Recordings and the associated artists is new. So yes, this is not a freshly unveiled release, but still sparkling for these ears. The best benefit of reading on and exploring Sheen Marina, cassette copies are still available. Travel Lightly is Sheen Marina's full length debut. Kind of an implosion in time, drawing from music forms and genres across great distances to form the ultimate gravitational force within a singularity. Nine tracks spread across thirty minutes. Tons of communication within this quartet. Precise starts and stops. Like vines dancing behind you back, when the head is turned to investigate, all is still. Complex intertwining of melodies with both harmonious and off kilter vocals. Very tempted to just start typing all the comparisons that come to mind... One that i will use, Snakefinger. Wicked guitars and lyrics that fit like a thirteen millimeter wrench on a half inch hex head bolt. Wild creativeness but kept in check by well formulated equations. Sheen Marina has a similar force to early XTC. Mayhem in complete control, twisted energy speeding and weaving the wrong way through traffic. Released by Very Special Recordings last year. Brooklyn label, Brooklyn band. Twisted and raw, like a braid of punk, pop and rock. LSJ, an acronym of the first initials for Lisa Cameron, Shawn David McMillen and Josh Ronsen. Misty Nights is a recording of their creative consciousnesses, combined and tangled with ends frayed. Traditional music is absent, pure sound has found friendly compatriots, we listen in. If sonic components could relax drinking coffee and have a conversation, Misty Nights might be a product of this meeting. There is a direct connection to early industrial music being emitted by LSJ. Rattling, creaking, clanging, static feedback, bass, human voices, all are present. The difference from artists like SPK, stretching the length of time to LSJ, is nothing seems rushed or manic, like it did in the past. What ever term used to describe it, evolving, loss of cohesion, the "change the world industrial hammer pounding" has subsided. Misty Nights possesses impressive patience, the aural world unfolding before our ears. This is all just on the first side. The flip changes tone starting with what sounds like saxophone played in some abandoned sonic test facility. Spirits have lingered and psycho-kinetically manipulate old equipment, adding to the eerie symphonic movement. An analog magnetometer continually pins red, the echoing clatter filling the emptiness with old life. Maybe this was a past venue for late seventies harmonic uproar, now breathing in a future time. Releases on eh? Records out of Richmond, California. Number ninety eight in the eh? Records catalog. LSJ is a long time project from Austin Texas. Copies currently available from the label site here.